Travelling as a new mom is not impossible. This list will help you when planning a trip with your infant, to make sure that everything goes as smoothly (and is as enjoyable) as possible! As a new mom, travelling for vacation or to see family can be a daunting prospect. Getting on the road means taking your little one away from their familiar surroundings, and you away from the convenience and comfort of home. So when you are planning a trip, your best bet is to bring as many of those comforts with you. First off, you’ll need a car seat. 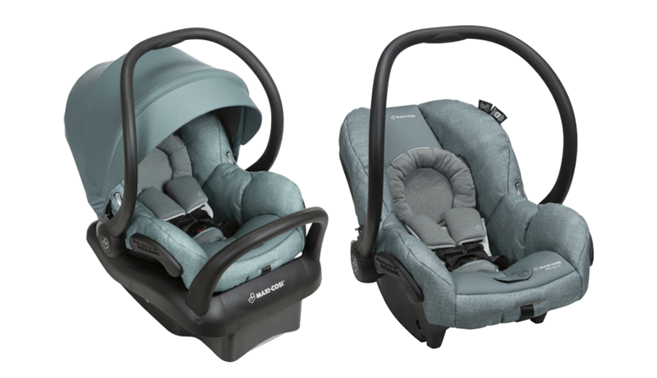 This car seat is the lightest premium infant car seat in its class, making it easy to bring along on all your car trips. 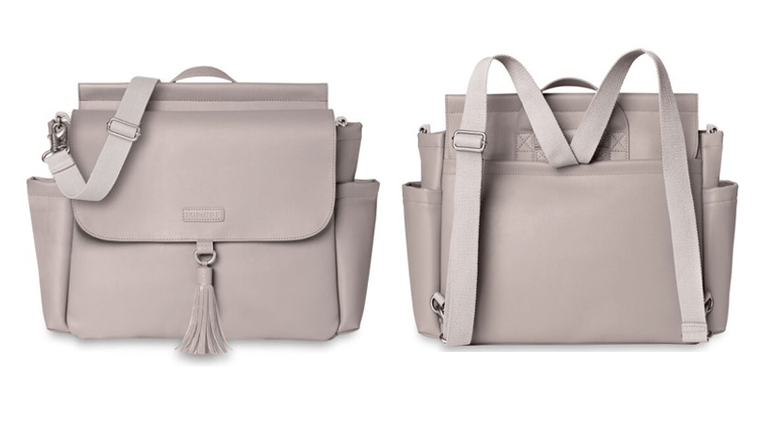 A diaper bag is essential to carry everything for baby. We love this one from Skip Hop as it has 9 pockets so you can easily keep everything organized, comes with an adjustable strap that can be used as a backpack or a messenger bag, and a cushioned changing pad! All in beautiful wipe-clean vegan leather. Diaper backpacks are all the rage right now. This style has adjustable straps, a top handle, and can even hang neatly on a stroller! You can also wear this as a shoulder purse, or cross-body bag. Plus the chic Olive colour will match just about anything! 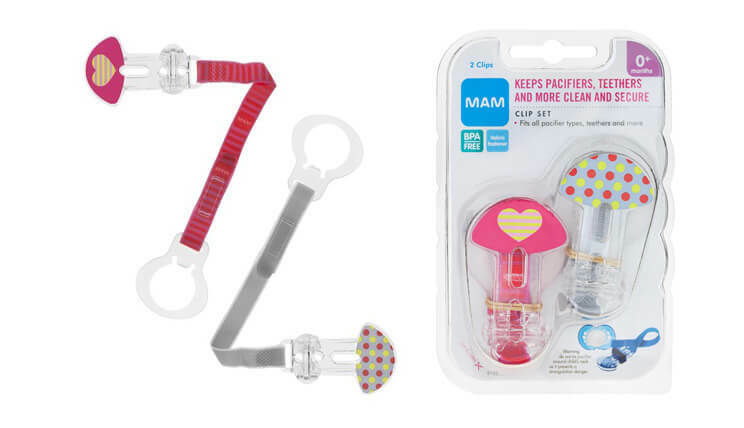 These clips make sure that pacifiers won’t get lost along the way. 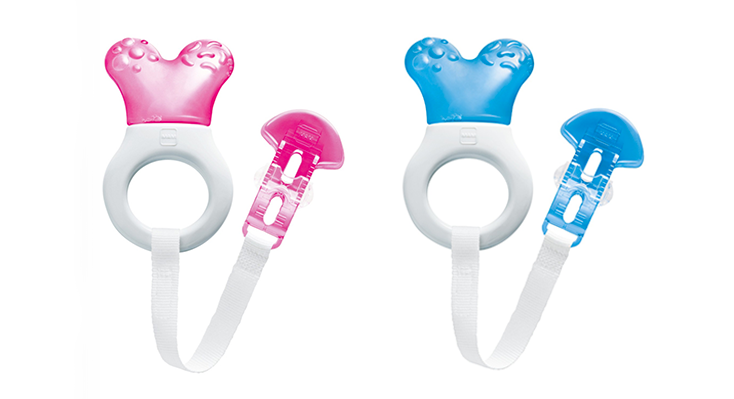 Clip one end to baby’s clothes and attach their pacifiers to the other to keep everything clean and within reach. For teething babies, this is a lifesaver to bring with you. It can also clip to baby’s clothes so that it won’t get lost either! 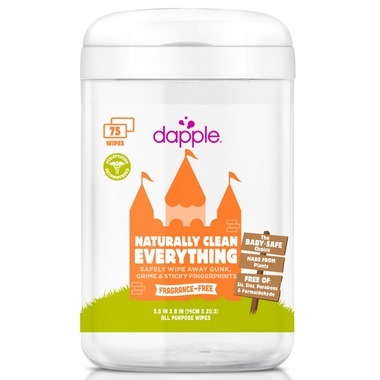 For easy cleansing of pacifiers, teethers, and more, keep a pack on these wipes on hand. They’re all natural, yet highly effective. 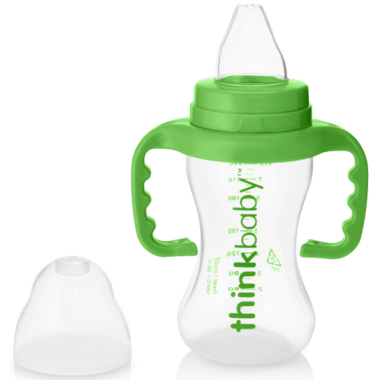 This bottle is perfect if your baby is transitioning from bottle to cup. Handles make it easy for your baby to hold so that you can concentrate on your journey, and it’s spill-proof so that there’s no mess when it gets dropped in the car! Of course you’ll want to bring along a pacifier for those times when baby needs some soothing. A set of two pacifiers comes with a sterilizing case so that you’ll have one less thing to worry about on your trip. This bottle can help reduce colic and make your vacation a lot more peaceful. Its design also allows the bottle to be sterilized in any microwave so that you have less to worry about on the road. 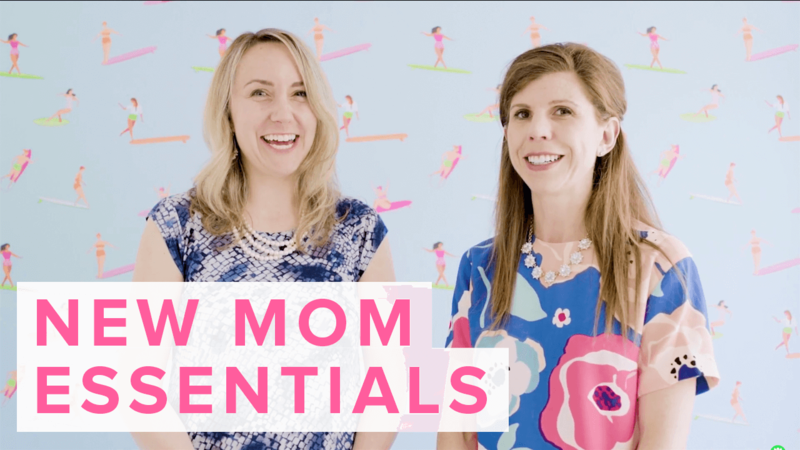 These are just some of the many items that can make your first trip with baby memorable and enjoyable, instead of frazzled and frustrating. Our CMO, who is also a mom to 3 young kids, shares her top 10 list below. Which has evolved over the course of many trips and with the expert advice of globe-trotting girlfriends and their families. Ergobaby Carrier: Our Ergo is well-travelled. It is at the top of my list of must haves for travelling with children. It is easy on the back since it carries the weight on your hips, rather than on your shoulders. We have used it for long walks on the beach with a 2 year old and for days spent walking the streets of cities like Paris and Rome. When travelling with two young children, this carrier is also essential since only one can ride in the stroller at a time. There’s also a handy zipped pocket in the front which is perfect for a small camera, valuables, phone, etc. It is also incredibly helpful for long flights – my babes have both been soothed to sleep walking the aisles of the plane in the Ergo and then slept in it for the duration of the flight. Aleva Wipes: This one comes courtesy of my sister who just spent a month in South America with her ten month-old son. These are great for little people and grown ups alike and the small package fits into any bag. These ultra-soft, eco-friendly, bamboo wipes not only leave baby’s face, body, and diaper area feeling silky-smooth, mom and dad can use them too! ezpz Happy Mat: My kids love to eat and pasta happens to be their favourite food. Needless to say, this can get super messy in restaurants. The ezpz mat is a great way to contain the mess. This “placemat” sticks to the table, making it nearly impossible for tiny hands to tip it over. Skip Hop Change Pad: In North America, we are blessed (for the most part) with change tables in public washrooms. This is not always the case when you travel. A definite item on my must haves for travelling now that I have kids is this particular change pad. It has been used to change my kids on park benches and many other less desirable places. It also means that you don’t have to travel with a diaper bag as it tucks easily into a backpack or a handbag (for the more fashionable, lighter traveller!). Pouch Snacks: Confession – I am that super annoying mom who made all her kids baby food from scratch from organic produce purchased at the Farmer’s Market. I rarely gave them jarred baby food because I found it easy to prepare and I love buying local produce and supporting local farmers. Please don’t hate me! When we travel, I try to ensure my kids are as well-fed as possible but sometimes it is a challenge to get vegetables in them. Pouches can be a lifesaver – they deliver instant veggie nutrition and some of them even have grains like quinoa for extra nutrition. Portable Mini Sound Spa: One of our best selling products at Well.ca is the Homedics SoundSpa. This is an incredible white noise machine that soothes babies to sleep. I have friends who have brought their full-sized machine travelling with them but this small, compact battery operated version is a great option to bring along. 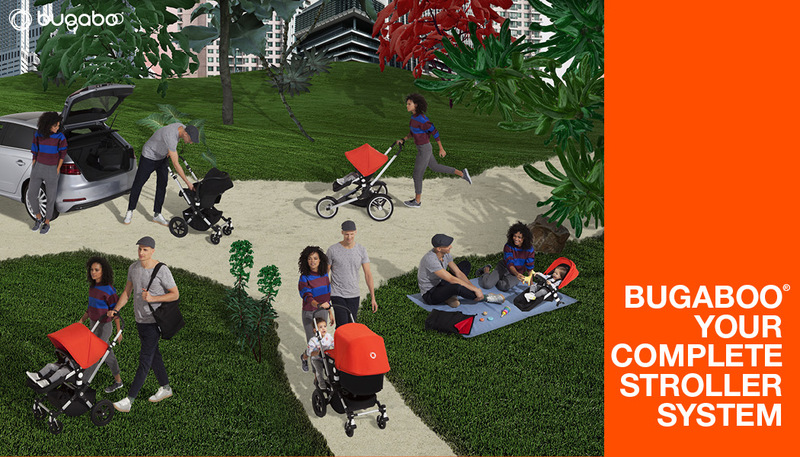 It clips to a stroller and can be used in a hotel room to help the whole family get a good night’s sleep. Food Storage: When we travel, we often rent apartments and have access to a kitchen. We still love to eat out but I will often prepare steamed veggies or healthy snacks to bring to the restaurant for the kids to supplement their meal and to also satisfy/distract them while we wait for our meals. We always bring food storage containers with us to pack up these snacks and we throw some loose reusable snack bags in our suitcases as well. 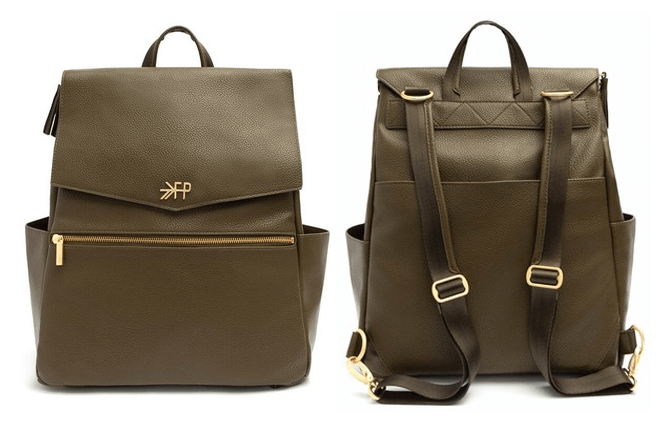 Skip Hop Backpack: These backpacks are absolutely adorable. My kids each have one and I let them help pack them (within reason of course) for our trips. The reality is that a two year old won’t wear the backpack for long (i.e. it comes off before security at the airport) but it gives them a great place to keep their favourite toys and is also a great way to keep hold of them (grab the straps rather than the child). aden + anais Blankets: I’ve raved about these blankets before…they really are fantastic. They’re a great thing to travel with because they can be used in so many different ways. I have used them to swaddle a newborn, as a blanket for a toddler, as a nursing cover in a pinch and to protect a baby in a stroller from the midday sun. They are beautiful and so nice to touch, a real must have! Video Monitor: I know, it seems excessive to travel with a baby monitor but hear me out: depending on where we are travelling and what our accommodation situation is, we will occasionally throw in our video monitor. A video monitor can give you a bit of freedom during naptime to leave the room – when we have hotel rooms close to the beach or pool, we will often sneak out during naptime. 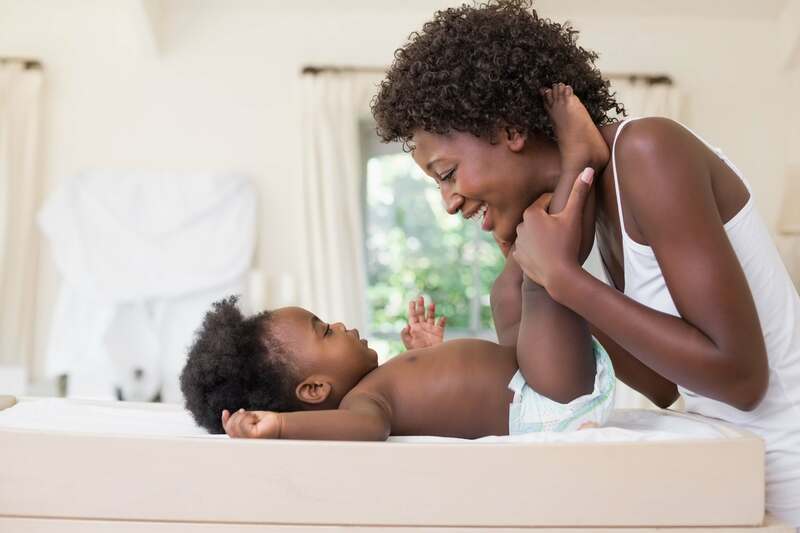 We are always closeby and can monitor what is going on in the room, you just have a bit more freedom to relax or do something other than sitting quietly on the bed, watching your child nap. What about you? What are some of your must-haves when you hit the road with your infant or toddler? Let us know in the comments below!